This is the sixth time the Donauinseln blog starts its poll for the Danubian Island of the year. You can vote for the three nominated islands between 13th October and 1st January 2019. Blogul “Insule Dunarene” initiaza acum, deja a sasea oara, alegerea “Insulei Anului”. Alegerea se poate face dintre trei insule desemnate, si are loc intre 13 octombrie si 1 ianuarie. The aim of this poll is to focus attention on the mostly unknown islands of the Danube. Most of you probably visited the Seychelle Islands before any Danubian Island. As we stated this is the fifth poll, and we hope we have started a tradition and more-and-more people will learn about these islands across the Globe. Scopul principal al acestui demers este cunoasterea mai buna a insulelor ascunse (dar cu atat mai interesante) de pe cursul dunarii. Mai degraba au fost multi pe insulele Seyschelle decat pe oricare din insulele enumerate mai jos. Cu cele cinci editii anterioare se pare ca am creeat traditie a.i. si acest demers a prins notorietate in randul algerilor de categoria “... Anului”. I do not think I have to introduce this island to you, let me ask Patrick Leigh Fermor for this favour. The legends of this sunken Turkish Island on the Danube was built and destroyed by human beings. 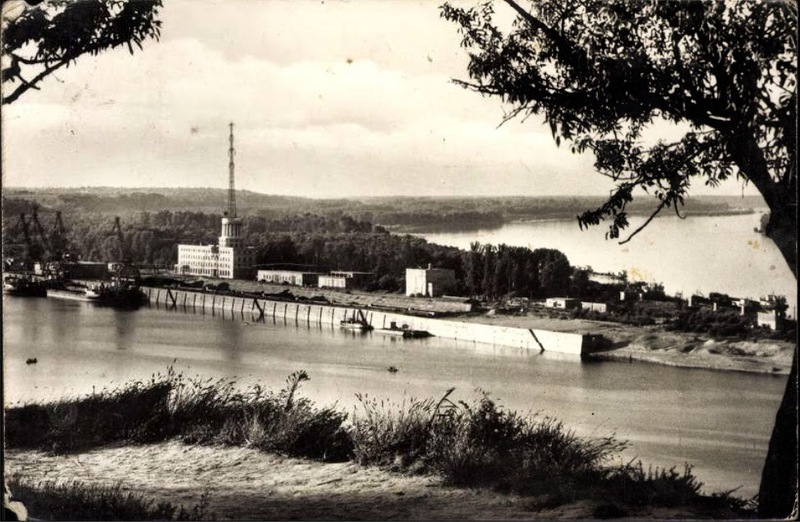 Once a Habsburg fortress, later a Turkish dominion isolated by hundreds of miles from the Homeland has disappeared in 1971 with the contruction of the Iron Gates hydroelectric plant. 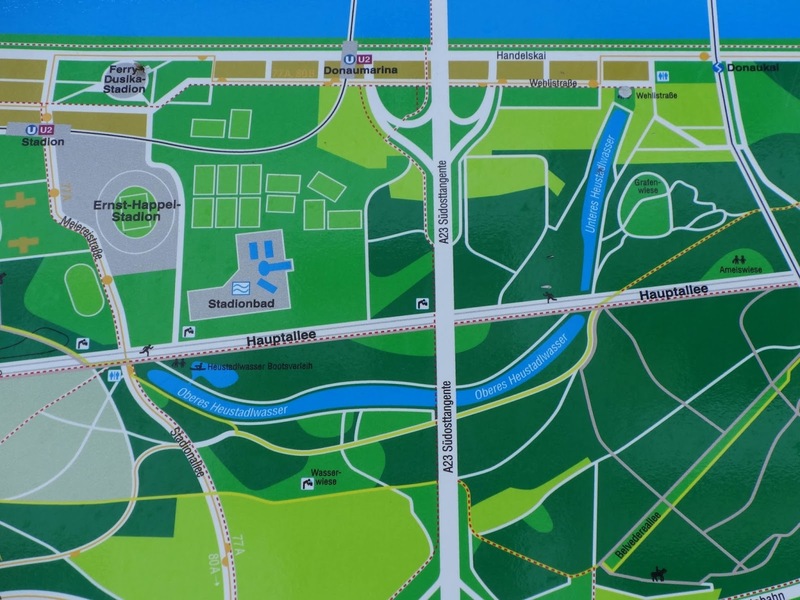 The Donauinseln blog did everything so far to keep the islands memory alive, now it is the time for our readers to do the same! Cred ca insula Ada Kaleh nu mai are nevoie de prezentare. Aceasta insula turceasca, inundata, a fost deopotriva ridicata in nemurire si scufundata in uitare de aceeasi mana neobosita a omului. Se leaga de ea nenumarate legende. Amintesc aici de localizarea imprecisa a cititorilor lui Jókai, bunaoara acestia au plasat, eronat, aici actiunea romanului „Omul de aur” si asa zisa „insula a nimanui”. Blogul „Insule Dunarene” a facut multe lucruri in sensul pastrarii in amintire a acestei insule. Iata acum posibilitatea ca si cititorii nostrii sa ne ajute in acest demers. This is a real urbanised island in the southern suburbs of Budapest. 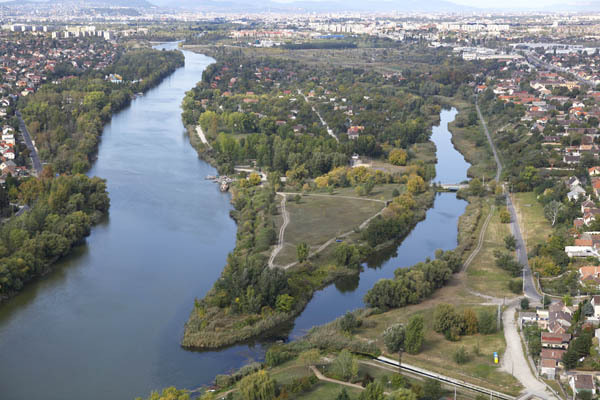 It is located on the Soroksári Danube, a huge oxbow which receives only 1% of the discharge of the main Danube. The decrease of the water level cused a four time increase in the size of the Molnár (Miller) Island. Once famous for the ship mills now it is a built up area swallowed by the suburbization. 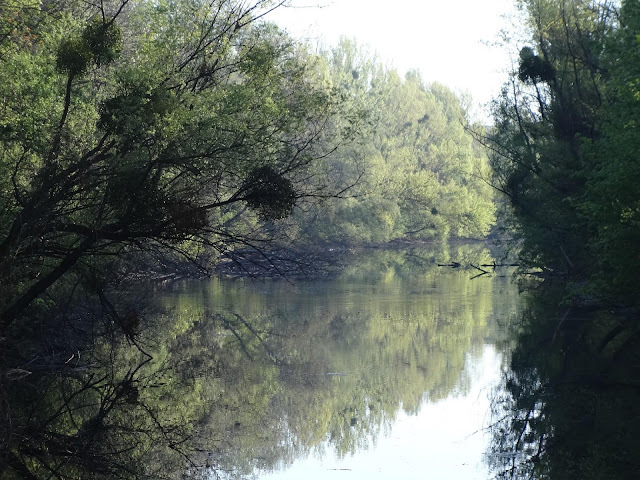 The nearby Danube is suffering from the sedimentation and the sewage, however there is a local community who cares about the future of the island and the Danube. Timpul si-a lasat amprenta si pe insula din Soroksár. Se gaseste la partea de nord a bratului inchis al dunarii de la Soroksár. Incepand cu 1950 insula apartine de Budapesta si a crescut in ultimii 150 de ani cu 431%. In locul vestitului santier naval, in fosta albie colmatata, acum sunt case de vacanta si ansambluri rezidentiale permanente. Probeleme apar insa din cauza malului carat de raul Gyáli la confluenta cu bratul dunarii. Pe insula acum s-a dezvoltat o comunitate dispusa sa si faca ceva pentru insula, de asta a ajuns insula Mólnár in aceasta finala. Süttő is a town located in Hungary. It has an island on the Danube with the same name, belonging to the Slovakian community, Moča (Dunamocs). Moča is a community located in Slovakia. It has an island on the Danube with the same name, belonging to the Hungarian community Süttő. This is a real Danubian island surrounded by the river 365 days a year since the stone dyke was opened. 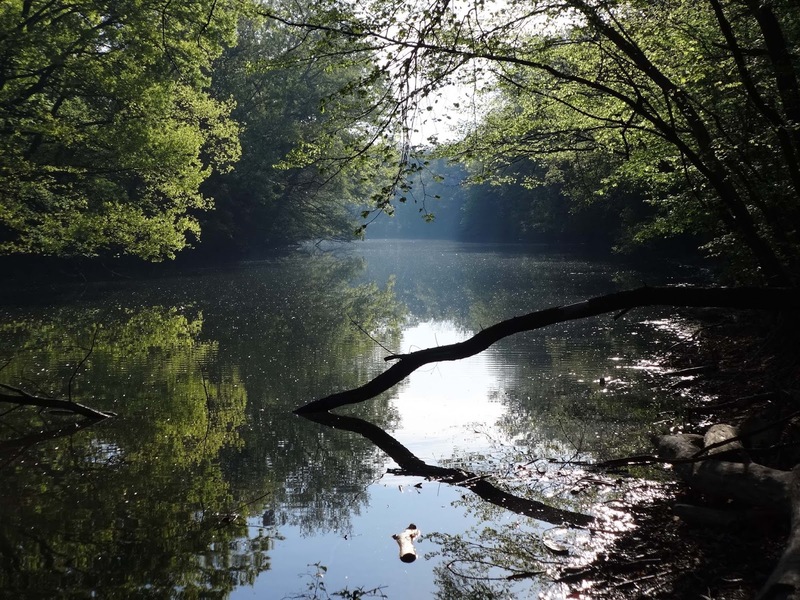 It is a famous nesting place of migratory birds and a place for campers and kayakers. Unde se gaseste insula Süttői? Insula poarta numele localitatii maghiare dar datorita lucrarilor de reglementare a fluviului a ajuns sa apartina de Slovacia, bunaoara este la sud de calea navigabila. Acum este in administratia localitatii Dunamocs, asadar teritoriu Slovac. Este o insula in adevaratul sens al cuvantului, adica este imbratisata de ape din toate partile, mai ales decand s-a demolat digul de piatra care facea legatura cu malul Slovac. Interesant mai este ca insula Dunamocs, care poarta numele localitatii din Slovacia, apartine de Ungaria, deci este remarcabila si datorita impartirii neobisnuite de teritorii. The poll will be closed at midnight 1st January 2019. The results will be available in the first post of the year 2019. Votul se incheie pe 1 ianuarie 2019, la miezul noptii. Publicarea rezultatului la postarea de final de an 2019! 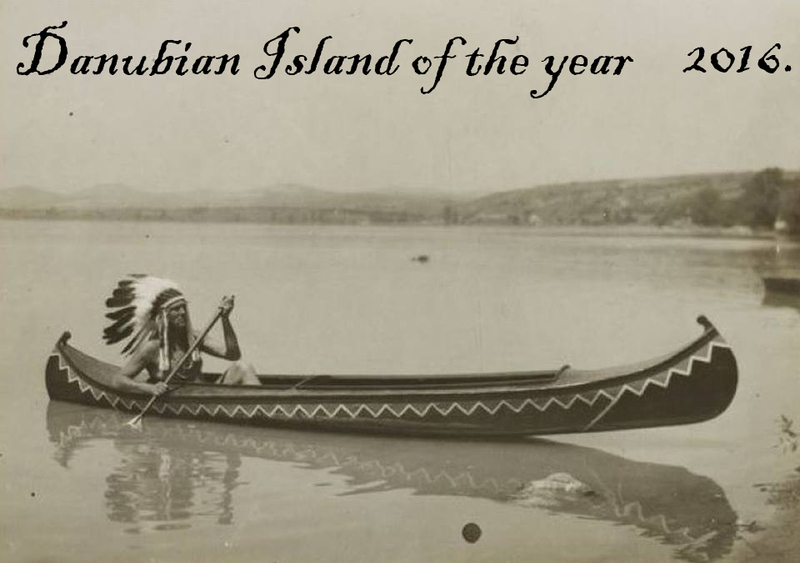 Time has come again to cast your vote for the Danubian Island of the Year. This will be the sixth year we start this contest. As a tradition our readers can nominate their favourite islands, and then it is upon them which two Danubian Island will qualify for the finals. As usual there are 3 islands in the final the 3rd one is nominated by the Donauinseln blog. The qualifying round ends on the 12th October 2018. On the next day we start the finals which ends on the last day of 2018. All islands are from the middle (Hungarian) section of the Danube, from Győr to Rácalmás. This is because the blog has mostly Hungarian readers and writers. The Islands are in alphabetical order. Please check each island on the Hungarian language blog (titles on the right panel). 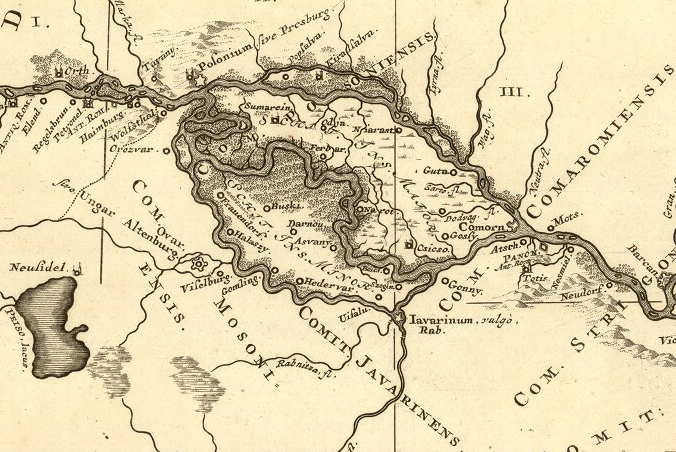 If we take a look at Szigetszentmiklós' map (located south from Budapest, on the Csepel Island) from the year 1778, we find the Háros island on the top left corner. And almost all the information — written in German — we need to know about its entire history. 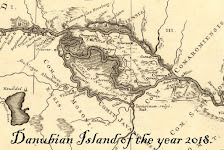 So for those who does not like to read we completed a summary of the Danubian Island's history based on the below map. Despite the Háros island is part of Budapest's XXII. 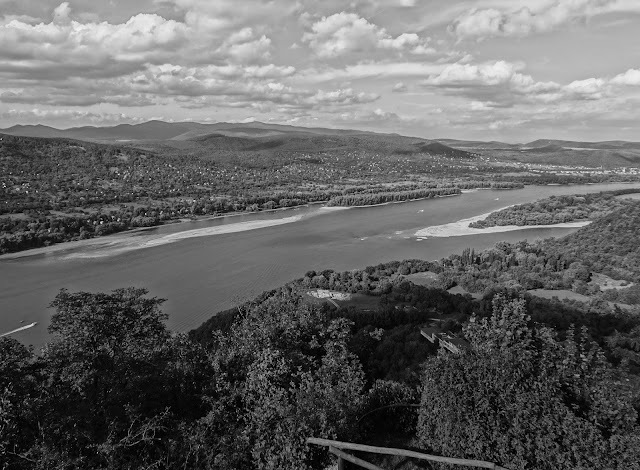 district and thereby Transdanubia it used to be closer to the other side of the Danube; the Csepel Island. That is why it's name originated from Háros village, located on the eastern bank of the river. The inhabitants left Háros after village was completely destroyed by the icy flood of 1838. Its church hill can still be seen on the map. 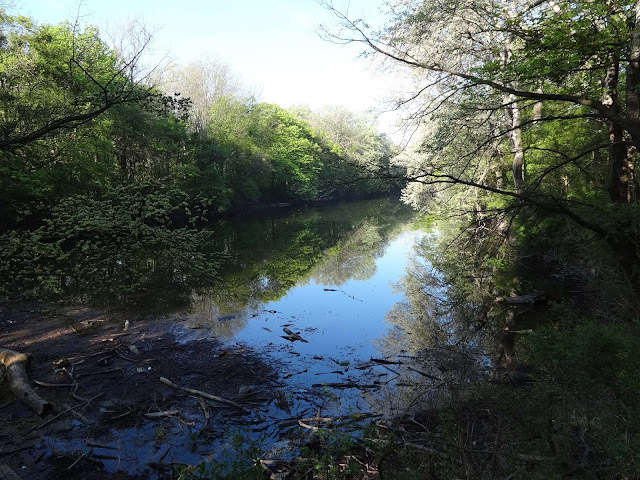 Háros was also called Pheasant Island, namely it functioned as a game preserve for a while. Therefore a gamekeeper's lodge (Jägerhaus) was built on and from the ruins of an old church (Alte Kirche). This old church was founded in 1264 as the monastery of St Eustace. Its ruins were still standing at the end of the 19th century, later it disappeared without a trace. The monastery of St. Eustace was probably destroyed before the Turkish invasion, due to the rising level of the Danube. During this process the inhabited island became a flood plain. There were two other islands on the left bank of the Danube next to Háros, the Mészáros (Butcher) island on the north and an anonymous island to the south, which is now part of the Háros island. The "Fischerhütten" (Fisherman's cottage) phrase on the Csepel (right) side reminds us of a nearby settlement's name, Halásztelek (Fisherman's plot), but this was part of Tököl under the name Herminatelep until 1951. The island of Ada Kaleh was famous of many reasons; its Turkish inhabitants, its rose petal jam, its cigars, its minaret, its fate and history. And it was famous for its fortress, the survivor of many sieges. This fortress was not only built to hinder the Turkish forces sailing up on the Danube, but it also guarded a river crossing. This crossing has been witnessed by two bridges in the 18th century. The first fortress of Ada Kaleh was started to built in 1691 by Veterani, a general of the cavalry of the Habsburg monarchy. This general gave the name of the famous Veterani caves nearby. Due to its strategic position the fortress witnessed many sieges. At the end of the 17th century the fortress was built up by weak earth ramparts so a Turkish counter attack captured it and the peace treaty of Karlowitz (1699) left the island in Turkish possession. In 1717 Habsburg troops besieged Ada Kaleh and after months of encirclement eventually they captured it in August and two years later the Treaty of Passarowitz confirmed the conquest. After the peace treaty a new fortress has been constructed with twenty year's effort. The rectangular shaped fortress was made up by stones and bricks, positioned in the middle of the island, but ramparts and bastions protected the entire area. On the right side of the Danube (then Turkey, now Serbia) a watchtower has been built and named fort Elizabeth. This tiny outpost was connected to Ada Kaleh through a pontoon bridge — according to a contemporary drawing. Fort Elizabeth has been demolished by the independent Serbian government in 1868. The new fortress on Ada Kaleh remained in Austrian possession until 1738, when a new war broke out between Austria and Turkey. After several month of siege, the Turkish army managed to capture the island with the just finished fortress. 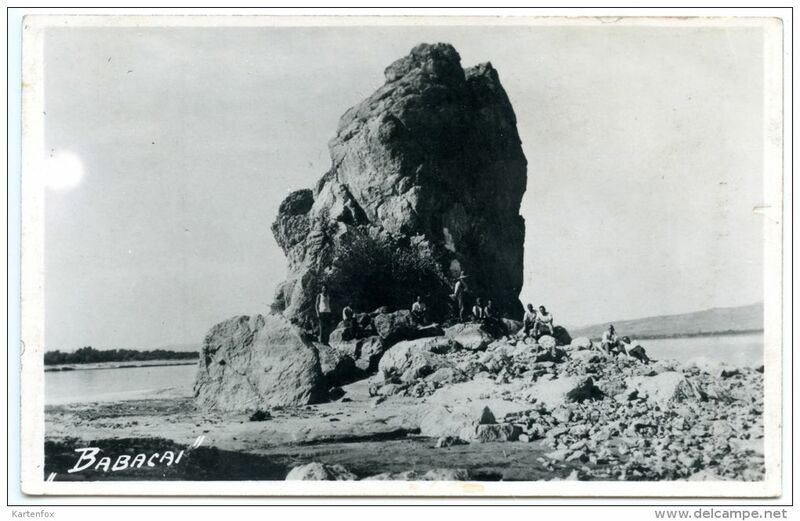 The seriously damaged Ada Kaleh was rebuilt and the German settlers has been ousted and replaced by Turkish people. After a half century's peaceful period a new Austro-Turkish war broke out and the fortress changed its owner once more, however only for a short time. In 1790 Austria captured Ada Kaleh, but they were forced to leave after the peace treaty of Sistovo. This short Austrian rule is represented with another pontoon bridge, which can be found on mapire.eu, the map of Wallachia in year 1790. The bridge connects Ada Kaleh with the left side of the Danube and obviously served military purposes. This second bridgehead was situated near a gap on the ramparts seen on the 1737 situations plan. There is no such gap on the other side, facing Fort Elizabeth, this pontoon bridge might have a bridgehead near one of the bastions. I found no evidence if these two bridges co-existed, but it might have happened during times of war or when Fort Elizabeth and Ada Kaleh has been built at the same time. Horses in the Danube. 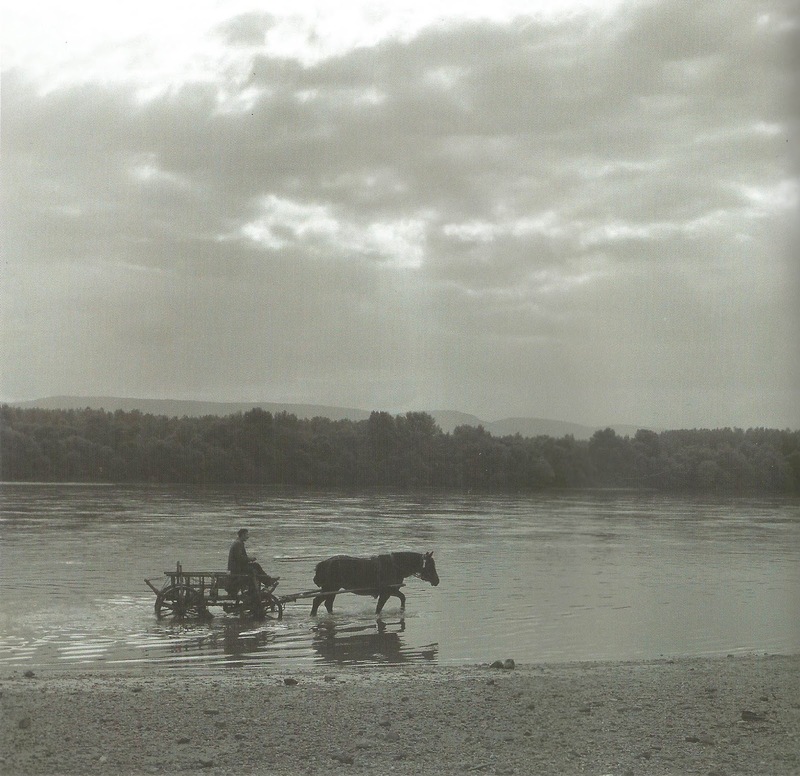 Waggons in the Danube. 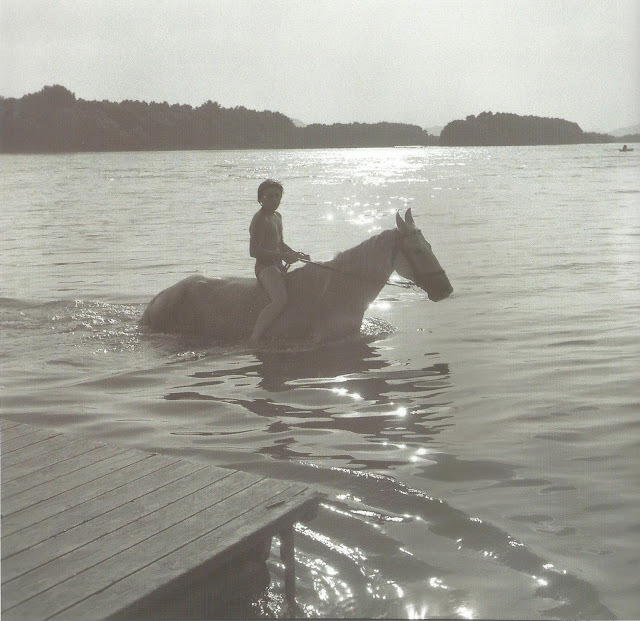 The past comes alive on pastor Gergely Hörömpő's old pictures from Vác. Technology might develop from time to time, but human habits remain the same. Decades come and go, and vehicles return to the river. Where they no longer belong. 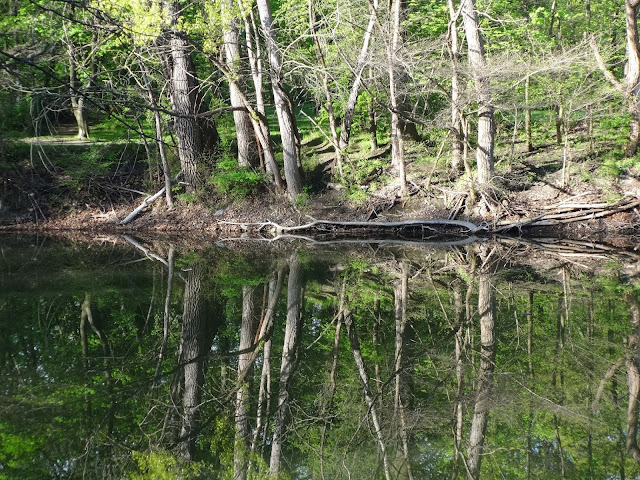 The waggons of modern times no longer drink the river's gray water. Dissolving. Cars, quads and sometimes motorbikes. Although the environment has changed, specific parts of the river have became protected by environmental law. 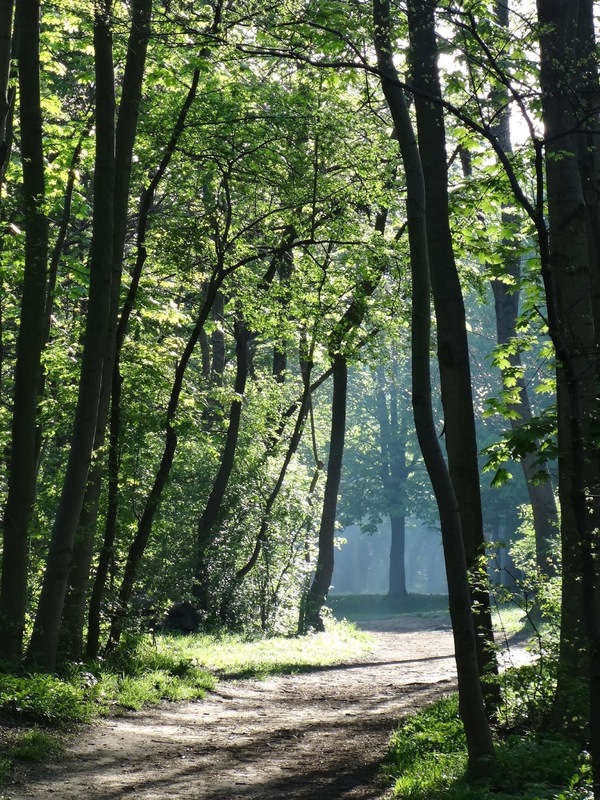 National Parks, World Heritage Sites, Ramsar Sites, Natura 2000 territories has been established. No motor vehicles are permitted to enter any of them. Not even at one place. Rangers of national parks, foresters, members of the local trainband are unwilling to answer the question: what can a law-abiding citizen do in this case? This is the fifth time the Donauinseln blog starts its poll for the Danubian Island of the year. You can vote for the three nominated islands between 13th October and 31th December 2015. This year our readers have selected two islands in the qualifying rounds. Through our choice, the Babakai-rock we expect a David and Goliath struggle between the largest Danubian Island, the Slovakian Žitný ostrov/Csallóköz. We start the introduction in alphabetical order, with the island we thought worthy enough to participate in the poll. The Babacai rock is not only the smallest among the three nominees, but the smallest of all Danubian Islands. It is located at the entrance of the Iron Gates gorge, near Coronini, Romania, facing the Serbian Golubac castle. There are only a few other places along the Danube which captures the human imagination so much. The locals, the soldiers passing by and the travellers also poetized this piece of rock with griping tales and legends. Most of the legends have been lost, but some of them are still with us. The purpose of the nomination was a recent article by the blog on the correction of its height on wikipedia. 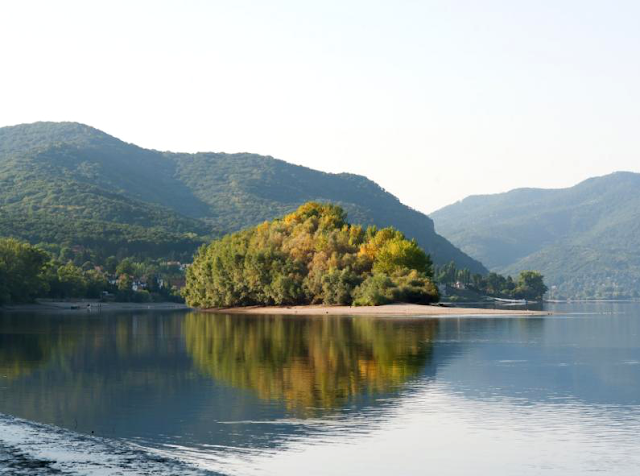 The largest inland island of Europe is also known as the Golden Garden of the Danube. 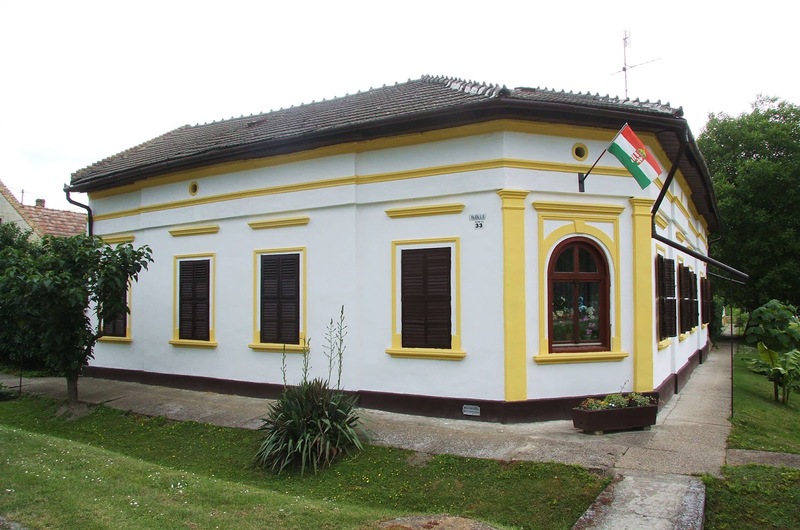 It has an area of 1886 square kilometers and contains 150 settlements out of which Komárno is the largest at the confluence of the Váh/Vág river. The Žitný ostrov is located in Southern Slovakia, but exept for a minor western part it has a majority of Hungarian population. A future enviroment protection cooperation between Hungary and Slovakia to create a joint national park in the region can be a good purpose of the nomination. It is quite hard to catch the essence of the Prímás Island on a photograph. The northern side of the island, under the castle is urbanized with parks, bridges, recreational areas, and a concrete-torso of a hotel, while the other side towards Tát is a flood plain wilderness with unaccessible riverine forests. A famous feature of this 2.7 km long island is the reconstructed Maria Valeria bridge to Párkány/Stúrovo. Originally it was two islands, named after the archbishops of Esztergom. The Prímás Island is a floodplain often flooded by the Danube. The poll will be closed at midnight 31th December 2017. The results will be available in the first post of the year 2018. Time has come again to cast your vote for the Danubian Island of the Year. This will be the fifth year we start this contest. As a tradition our readers can nominate, and then decide which two Danubian Island to qualify for the finals. As usual there are 3 islands in the final the 3rd one is nominated by the Donauinseln blog. The qualifying voting ends on the 12th October 2017. On the next day we start the finals which ends on the last day of 2017. All islands are from the middle section of the Danube, from the Hungarian Gates of Dévény/Devín to the lost island of the Iron Gates. This is because the blog has mostly Hungarian readers and writers. The Islands are in alphabetical order, and they have Hungarian names. Please check each island on the Hungarian language blog (titles on the right panel). 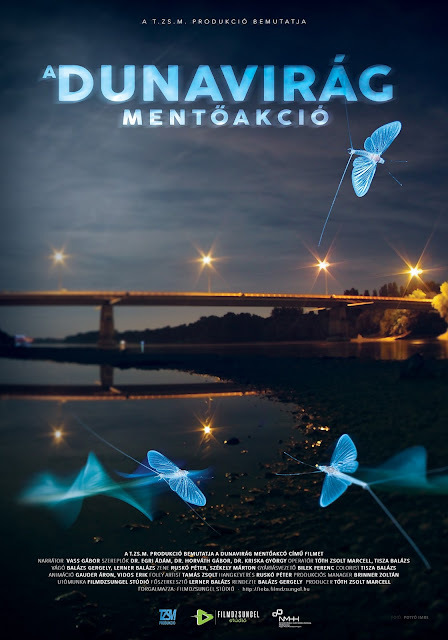 After four decades, 2012 was the first year to see the Danubian mayfly (Ephoron virgo) swarming above the Danube as an indicator of the significant increase in water quality. Millions of swarming mayflies has been reported in late July and August from many places between Budapest and Tahitótfalu since then every year. They have also been observed on one of the tributaries of the Danube, the Rába. But what is the reason for a nature film, dubbed Operation Mayfly? From what do we need to save them, are they already in danger? Since we would recommend to learn the answers from the film in brief the situation is the following: Ephoron virgo usually swarms after dusk, so all sources of artificial light on the river banks is a light-trap for them. Heading for these light sources, the female mayflies are dropping their batch of eggs on the ground instead of the water surface. These eggs will never hatch, so new generation of millions of mayflies will never be born. Lights on bridges is a more serious problem. While mayflies lay their eggs on the asphalt, they are perishing under the vehicles. In Hungary the ecological value of one Ephoron virgo mayfly is 10000 HUF, equivalent of $38USD, it is easy to calculate the ecological loss of the dead mayflies and their eggs. They are working on solving this problem, the Operation Mayfly film is about this struggle. So far I have no idea why there are beavers and coypues in this film, if anyone knows please let me know. 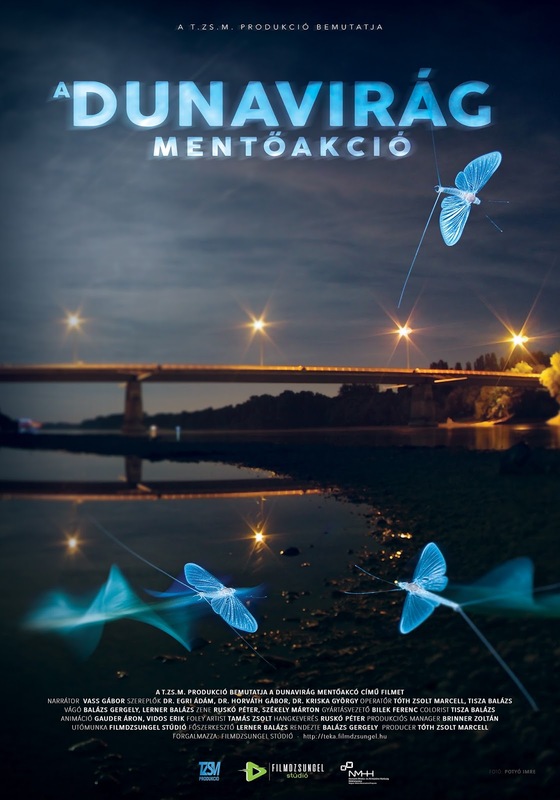 Operation Mayfly has won the prize for the best document movie in the Ecological values of the Carpathian basin section on the third Internatonal Nature Film Festival in Gödöllő. We would like to take the chance and congratulate for the authors, Filmdzsungel Stúdió and TZSM productions! It wasn't cheap, the two almost aerial photographs taken from the Visegrad castle costed 1700 HUF (~5 €). But totally worth it to climb up there to take a look on the upper tip of the Szentendrei Island and the new islands of Kismaros and Nagymaros. I would like to start with the least obtrusive thing: there is a recent archaeologic excavation on the Sibrik hill, Visegrád. If somebody is not familiar with this place there was a late Roman fortress on this hill and later it became the center of the Pilis county in Hungary. ...but gravel banks, eight in number. There are curious people on them. If a curious person has the height of 17,7-1,8 meters the furthermost gravel bank extends 60 meters into the Danube counting from the end of the Szentendrei Island. This end of the Szentendrei island is continuosly groving against the stream. More and more gravel bank emerges from the river. Without any human impact these gravel banks will join the body of the island. 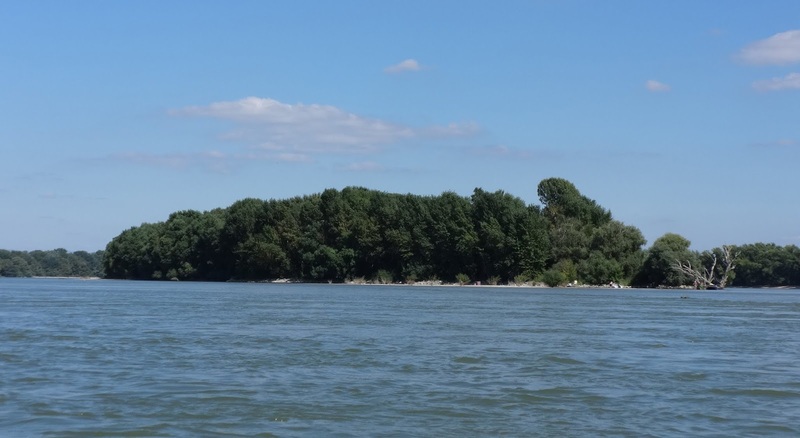 This is the fourth time the Donauinseln blog starts its poll for the Danubian Island of the year. You can vote for the three nominated islands between 13th October and 31th December 2015. The aim of this poll is to focus attention on the mostly unknown islands of the Danube. Most of you probably visited the Seychelle Islands before any Danubian Island. As we stated this is the third poll, and we hope we have started a tradition and more-and-more people will learn about these islands across the Globe. This year our readers have selected two islands in the qualifying rounds. 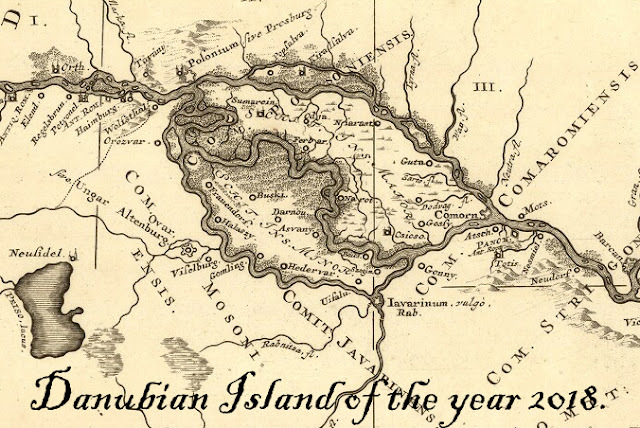 We start the introduction in alphabetical order, with the island we thought worthy enough to participate in the poll. Our first nominated island is really unique. 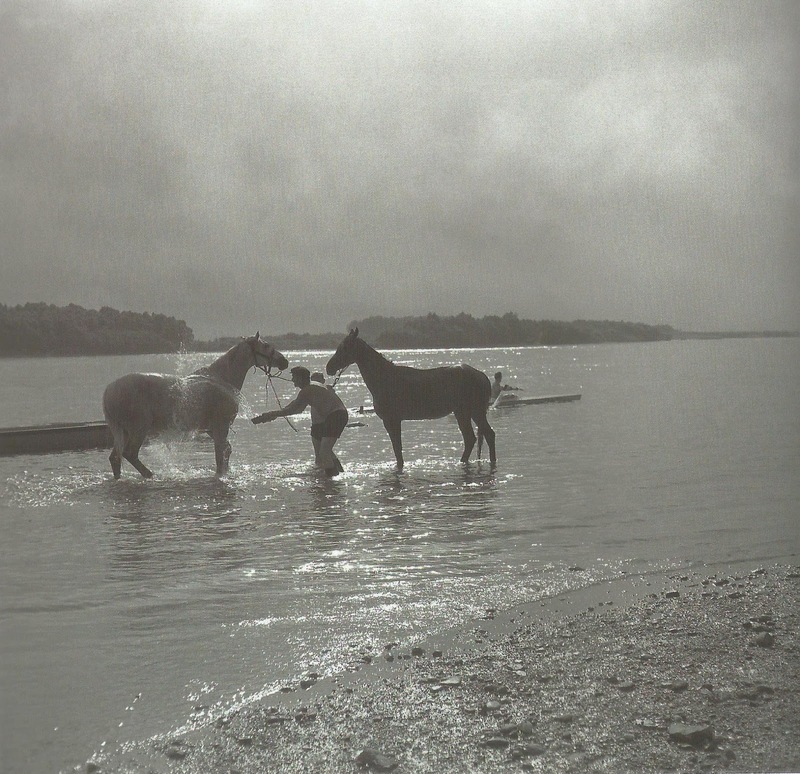 This is the first nominated island from Budapest, and the first one which no longer exists. This tiny Danubian island could be found just north from The Árpád bridge, close to the left river bank. 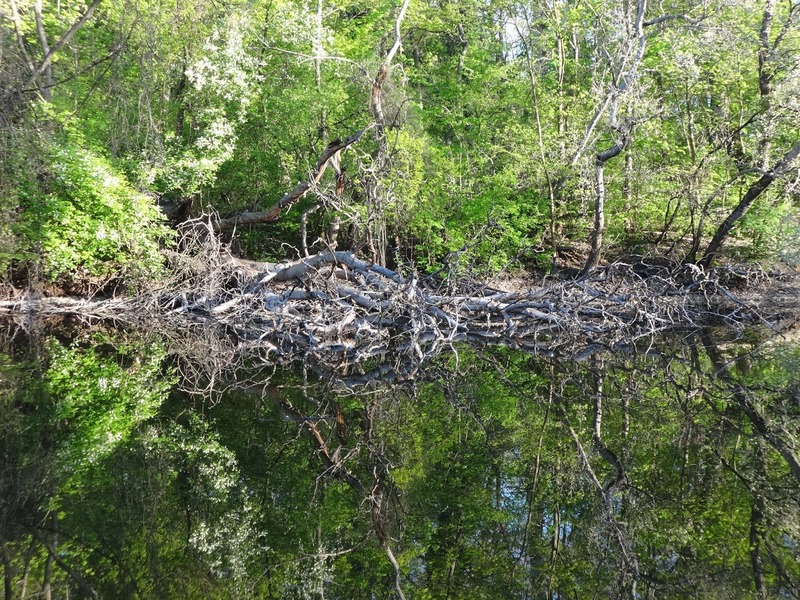 In the 18th century an icy flood devastated its trees. Since then it was only a gravel bank, rarely emerging from the river. 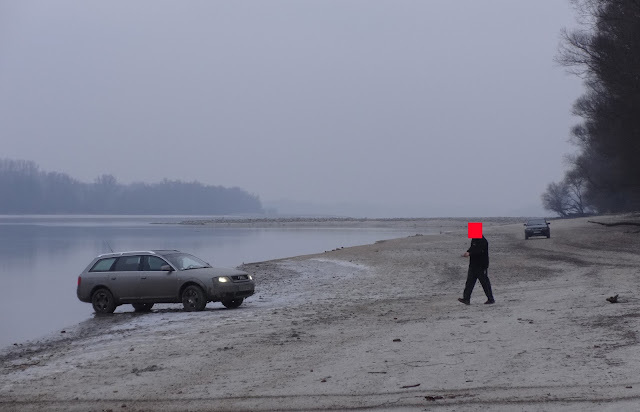 Just before its final disappearance József Szabó visited the island and collected samples from more than 50 hot springs coming from the limestone hundred meters below. He also sketched some Roman ruins, possibly remnants of a bath and archaeologists found an altar devoted to the god of the Danube. The Fürdő (Bath) Island has been dredged completely in 1874 due to river regulation works. The Szalki Island is located next to Dunaújváros, an industrial town in the middle of Hungary. This section of the Danube often changes course. On its predecessor there was a military camp in the beginning of the Roman era, 1st century. Out of its stones an abbey was built on this Island dedicated to Saint Pantaleon, who later gave the name to the nearby village: (Duna)Pentele. This abbey has been swallowed by the Danube in the 16th century. 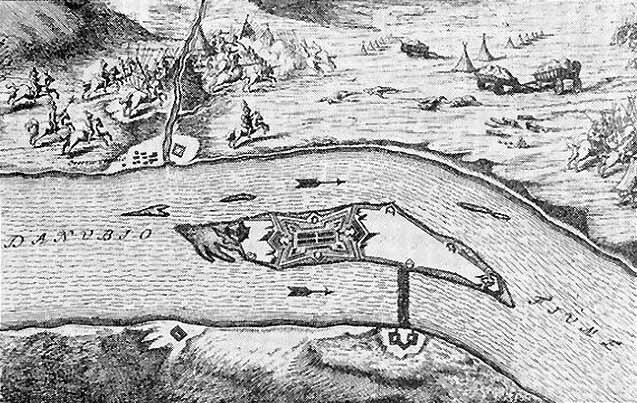 The Szalki island was later attached to the right banks of the Danube and in its side arm they built the ports of the city. Today the Szalki Island is a park, there is a campsite, famous for the rock festival called Rockmaraton. Zebegényi Island can be found in the Danube bend. It is a real island on the Danube, which means it is uniquely surrounded by water all year. It is a rather young formation, not long ago it was only a gravel bar without plants on it. By this time this inaccessible strip of land became a popular place for the locals and the tourists as well in summertime. In wintertime it is a shelter for birds. 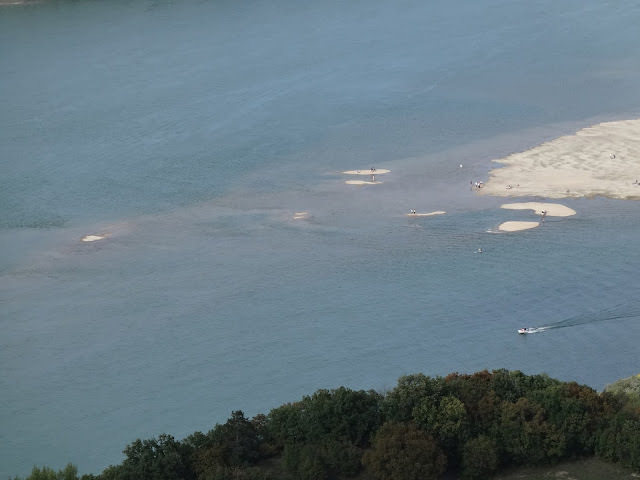 This island was almost excavated during the construction works of the nearby Nagymaros hydroelectric dam, fortunately they stopped the construction, so this island could remain in the Danube Bend. The poll will be closed at midnight 31th December 2016. The results will be available in the first post of the year 2017. 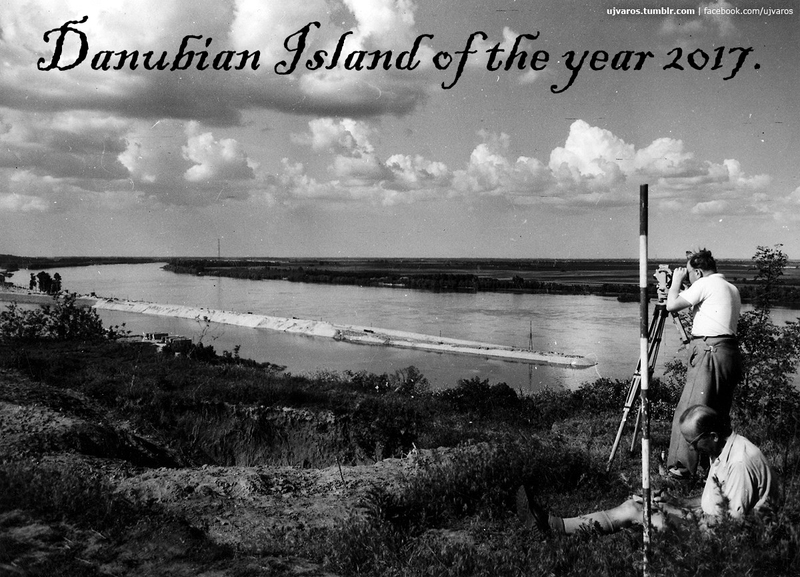 The time has come for the Danubian Island of the year voting. First time we had no qualifying rounds, but when we introduced the new system 10 islands were nominated in 2014. One year later it was 14 and this year we have a list of 17 Danubian islands. 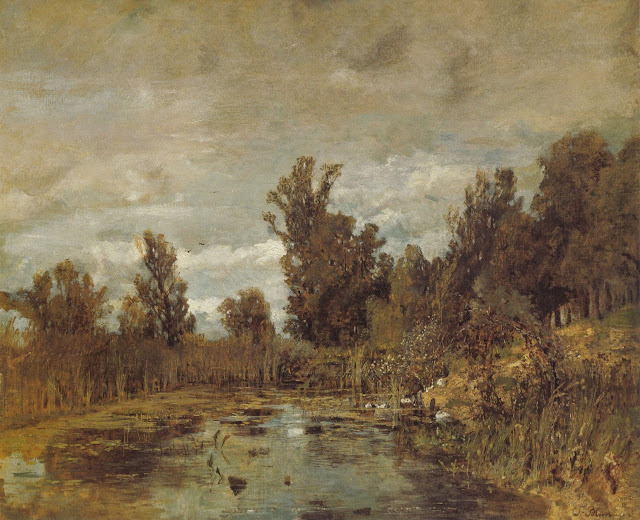 There is a fiction-island and a non-existent island in the list, the first is Senki-szigete (No-mans island) from a novel of Mór Jókai and the second is a former island of Budapest, disappeared in the 1870s. We have last year's second: the Zebegényi Island, two Pap islands (Priest Island) form Szentendre and Dunaújváros. Two islands within the boundries of Baja, a town in southern Hungary, and two not-well-known island from the Ráckevei-Danube (Kulcsár island) and southern Hungary (Gabriella island). Two years ago we registered 436 votes duing the qualifying rounds, last year it has risen significally: 1716 votes, I hope we will surpass this in 2016. Remember, only the first two island qualifies into the finals. 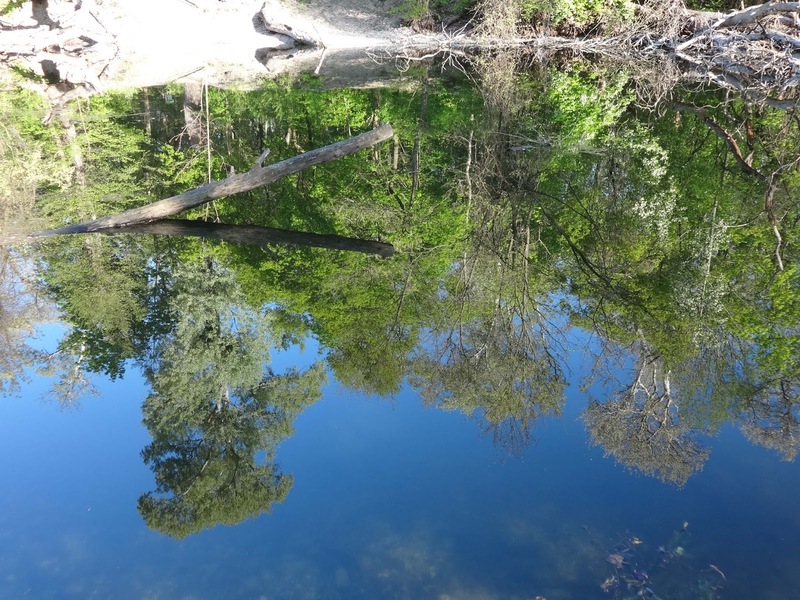 There will be another island added by the Donauinslen blog. This voting ends midnight, October 12th 2016. The finals will begin next evening! …Is located in the community of Gerjen, Tolna county, on a recently renewed house at the height of an ankle. All description mention that the high water mark from the year 1893 is located on the reformed church, but there is nowhere to be found. If we take a closer look at the corners of the table and the missing screws it become most likely that the table has been removed from the church and had been replaced here. Maybe this was the original place of the mark an it was taken down by force from the same place before the renovation. The date of the mark is also interesting. In Hungary it is a tradition to mark almost every exceptional high water with tables like this (the most famous are marking the 1838 icy flood in Budapest and several other places), but this seems to be the only one marking the flood of 27th february 1893. 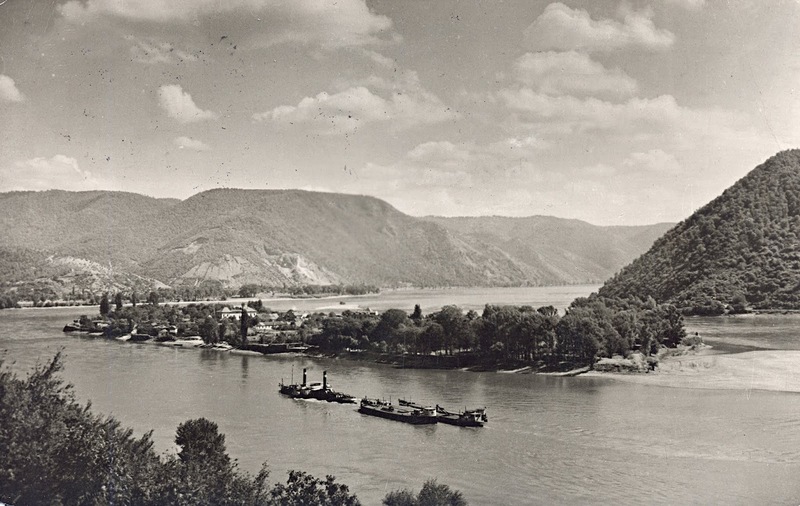 The Danube caused much trouble in the community of Gerjen in the 1890s. On March 13th 1891 the levee broke nearby and the icy Danube flooded the village. 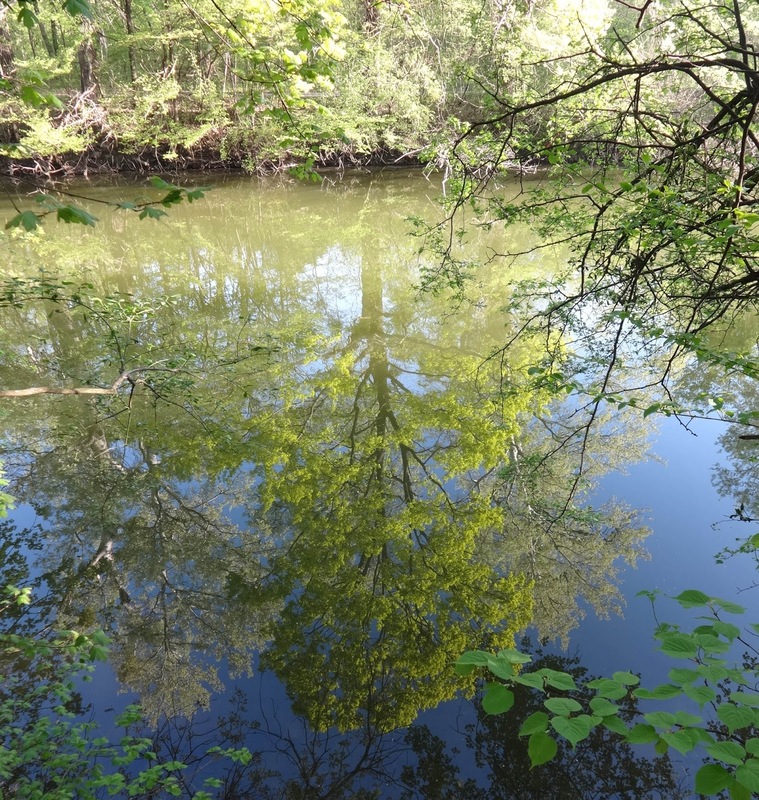 Two years later the Danube visited Gerjen again. 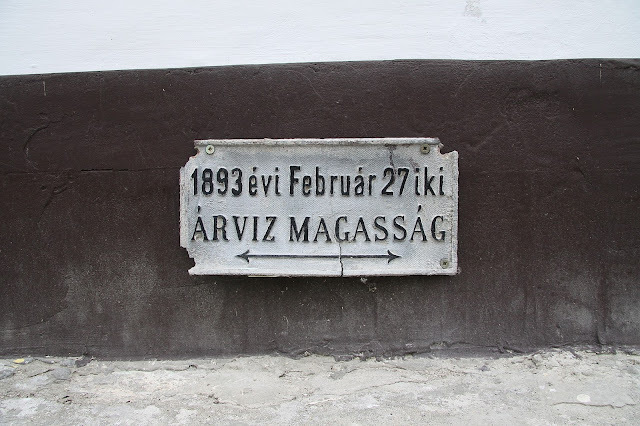 On February 27th 1893 floating ice has been stuck in the Várszeg river bend 4 kilometers downstream. Frozen water cemented the ice together and it functioned as a huge ice dam across the Danube. The rising water breached the levee again, and Gerjen has been flooded once more. This flood affected only a small territory, maybe that is why the only high water mark from year 1893 can only be found in Gerjen. Despite the flood only reached the footing of the houses the community considered this flood remarkable enough to create a high-water mark to remember. 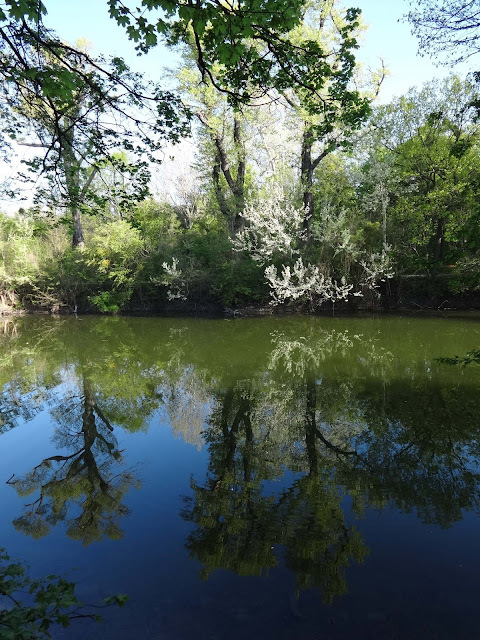 They managed to create a hydrological rarity, the lowest high-water mark in Hungary. Thanks for the idea, Gergő Szombathelyi! Since 1875 there is no flowing Danube water in Vienna's Heustadlwasser. This was one of the many side-arms of the river now hiding in Prater park. Nowdays it is feeded by precipitation and ground water only. The Viennese river regulation measures has cut it off from the Danube and was mostly filled in with construction waste. The remaining parts can be found near the Ernst Happel stadium, it's lower third is cut through by the Prater's long alley. Despite the always windy weather in Vienna I happen to visit this Danube side arm in a period of calm. The sun has just risen and there was absolutely no wind. The Prater became slowly populated by runners, hikers, cyclists. 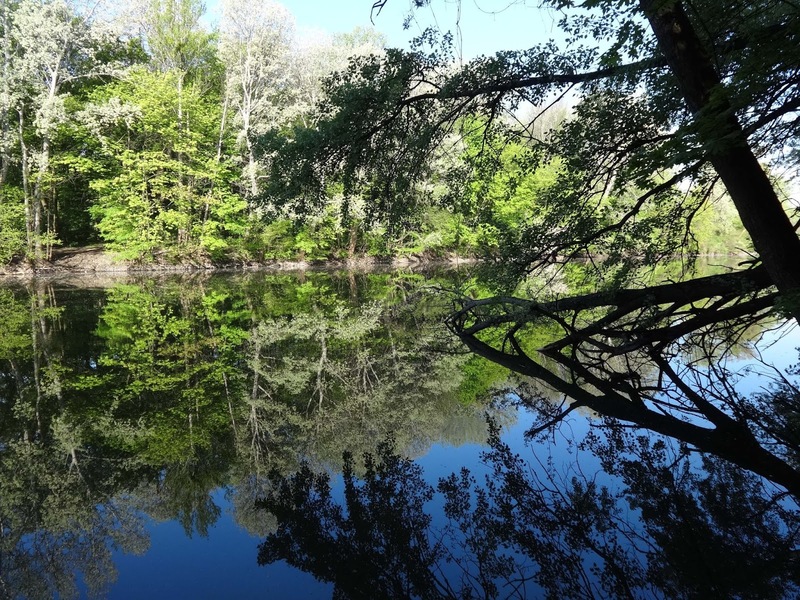 There was a stillness in the air despite a highway is cutting through the park. These pictures (and the Danube as well) are reflecting this morning atmosphere. 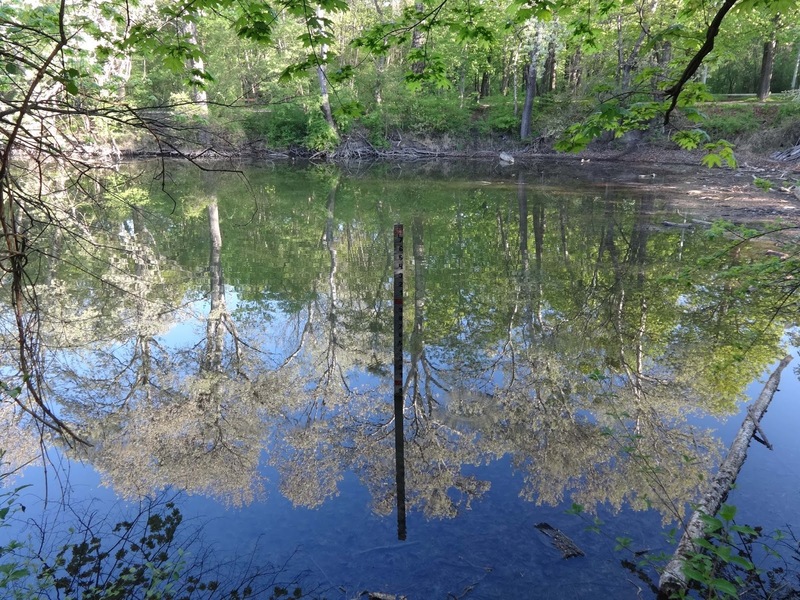 If you visit Vienna it is worthy to explore these hidden side arms of the long lost Viennese Danube, reflecting the pre-1875 landscape. There is a spectre haunting these pictures. Visions of a long lost Danubian world coming alive again, like a ghost in an ancient manor house on Alexandru Cristian Beșliu's pictures. He uses Danube View, Google's new development like an expert, on which we can see the river's most scenic part just like as on board of a cruiser ship. Old postcards stick to the Danube View in the Iron Gates, where an island, Ada Kaleh sleeps her dream 33 meters below the Danube's surface. Alexandru Cristian Beșliu uploads these postcards pinned to the Danube View images to his own album on facebook. There is a minor distortion, because the Iron Gate I. hydroelectrical dam has been risen the Danube's surface since the pictures were taken, so there is at least 33 meters between the water level of Danube View and of the postcards. The main guidelines are the mountain ranges. Images of the drowned island are not only shocking for those who lived there. 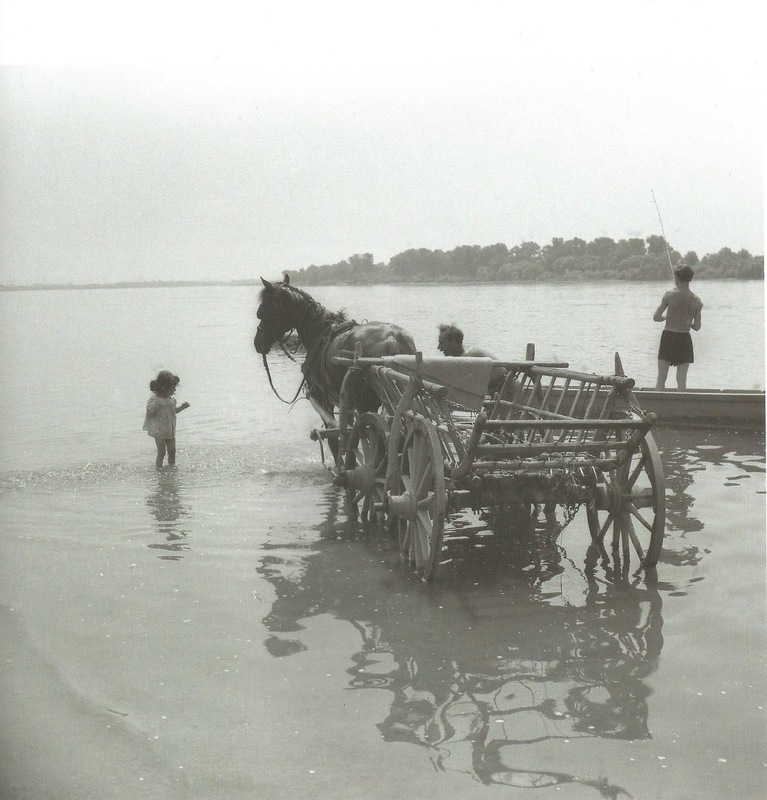 We know of many villages like Ada Kaleh, drowned in a reservoir. We may get goose-bumps of the past little enclave of Turkey. The surrealistic view could be intensified with the divers stumbling on the bottom of the Danube. Let's hope there will be more pictures where these came from, and will be no more drowned village like Ada Kaleh!